For the longest time braising always sounded to me like something French chefs did for dignitaries and well-to-do’s when they were out hunting fox working up an appetite while riding on a horse. It wasn’t until I gave it a try myself that I found out how incredibly easy it is to do. A dutch oven is a necessity when it comes to this style of cooking but it is absolutely worth the investment for the amazing meals that can come out of it. 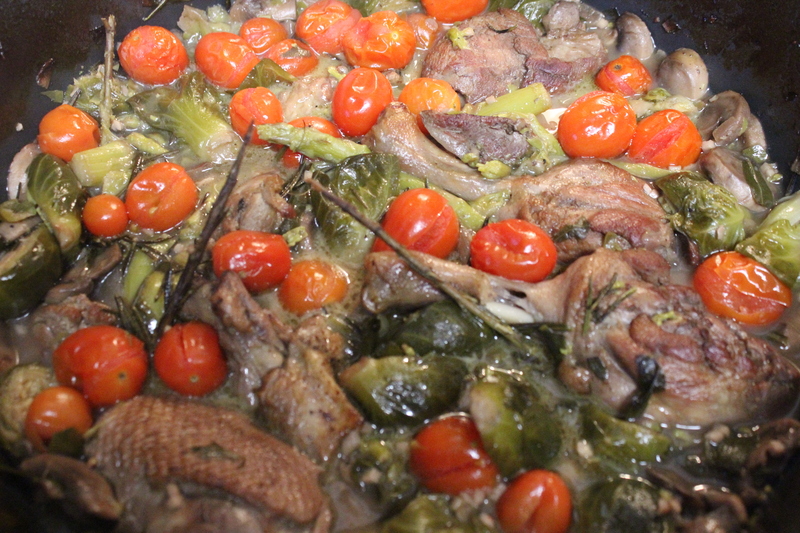 In this recipe, we are braising duck. A mallard to be exact. The slow steaming process of the dutch oven makes the meat so tender it practically falls off the fork. It also combines all the juices and flavor from everything else in this recipe to come together with every bite. To start things off, the duck needs to be carved down to the legs, breasts, wings, or whatever meat you want to try to get off it. 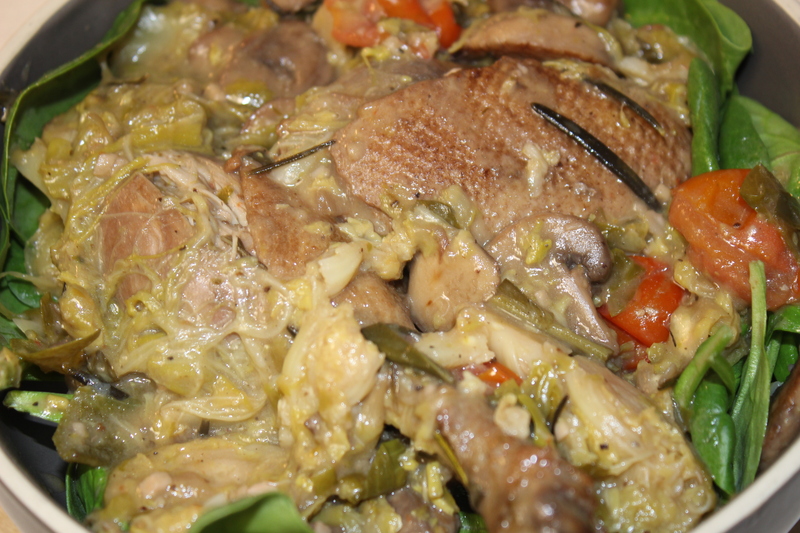 Brown the pieces of duck in the dutch oven. First, add a little vegetable oil to the dutch oven mixed with a little butter. 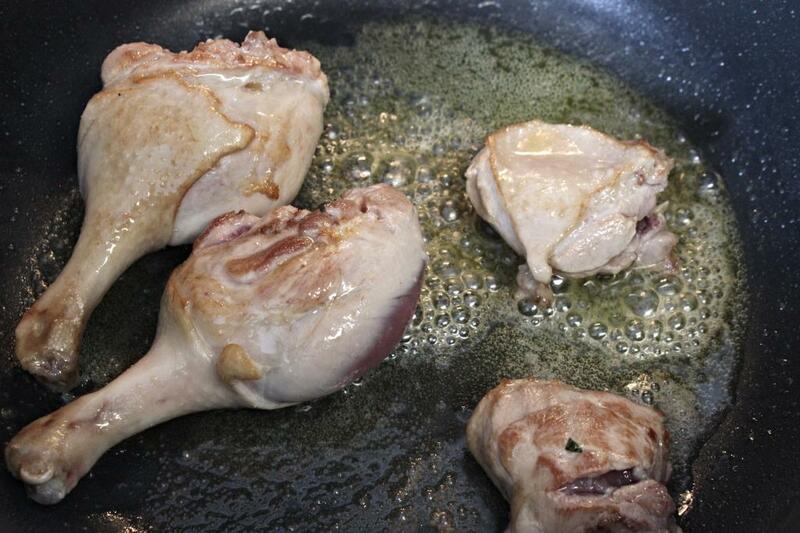 Allow the duck to brown, leaving brown flavor specks left on the bottom. Do not crowd the dutch oven. You may have to brown the duck pieces in several batches. Once they are browned, place them on a plate and set them aside. 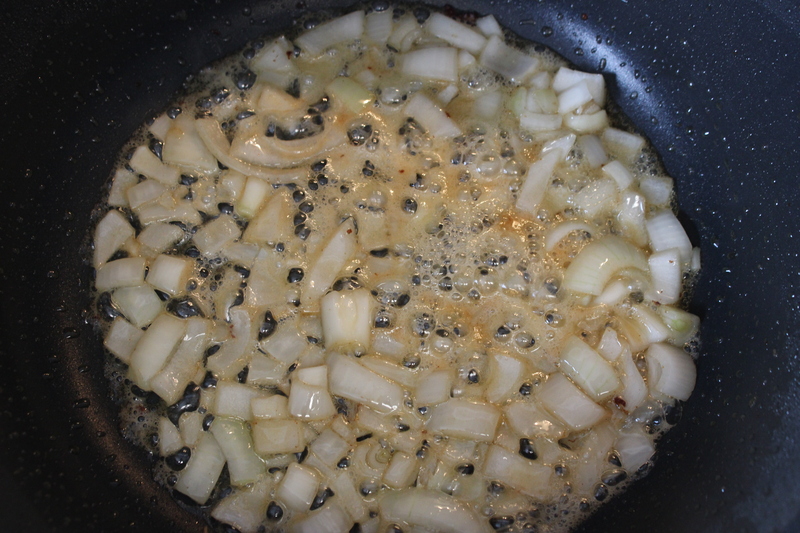 When the dutch oven is cleared of duck, add diced onions to the butter/oil/duck bits still remaining. Cook the onions until they are slightly clear. Next, add the mushrooms. Allow them to brown and cook until they start to release their moisture. 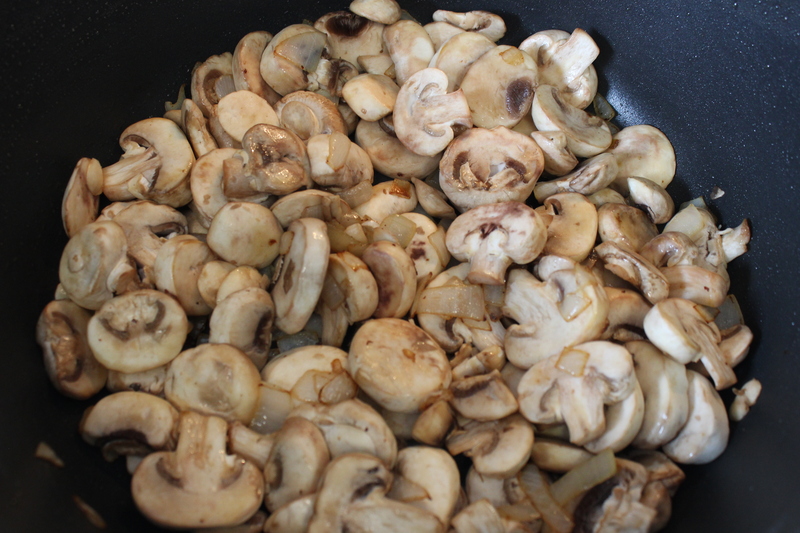 Push all the mushrooms to the outside of the dutch oven leaving an empty space in the middle. 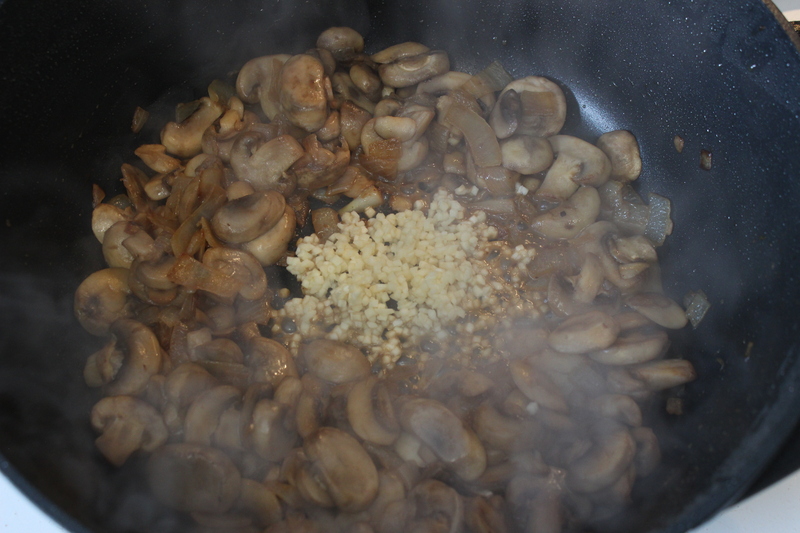 Add in diced garlic and brown until they release their strong smell. Next, add about two cups of red wine and about two cups of chicken broth. Bring it all to a simmer and add in the fresh diced tarragon. Slice up a bunch of brussel sprouts and add them to the mixture. Toss in some asparagus as well. Depending on the size of your dutch oven, you may need to increase or decrease the amount of liquid. We are creating a braise, not making a soup. The duck needs only to be about half submerged, but not completely. 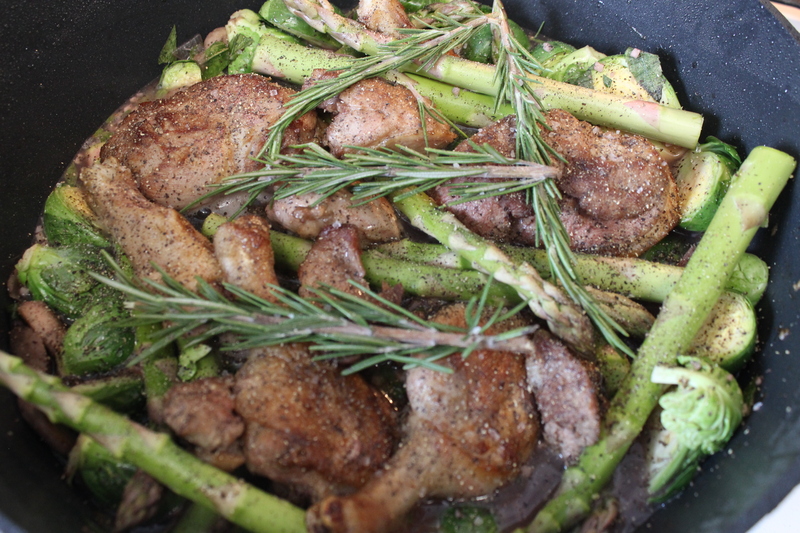 Finally, add the duck back to the mixture topped off with salt, pepper, and a few sprigs of Rosemary. Place the lid on the dutch oven and stick it in the oven for about 2 hours at 350. Check the duck after the first hour and stir things around a little making sure the duck is coated in the liquid. At hour mark #2, add in some whole cherry tomatoes and gentry stir everything around a little bit more. With tomatoes added, we are almost done! After about two hours, take the dutch oven out and remove the duck from inside. Add about 1 tablespoon of flour to what is left inside and gentle stir until it dissolves. 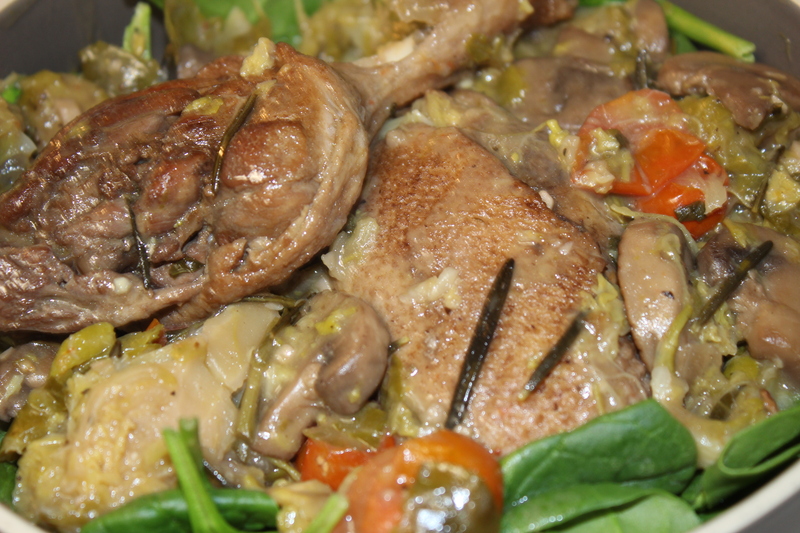 We served our Wine Braised Duck on a bed of fresh spinach topped with duck pieces. Some like to serve on a bed of potatoes or even rice. Enjoy! Brad Smith has been an avid outdoorsman all of his life. From chasing muskies in Wisconsin to fly fishing for smallies on tiny streams in Indiana, Brad has done it all. During the winters, he spends every possible moment in a tree stand waiting for that buck of a lifetime. Come springtime, he is normally backed up against a tree waiting on a Tom. His passion for the Great Outdoors has led him to a life of being a lure designer, tournament angler, and author. Brad is also pretty handy in the kitchen. He specializes in quick and easy wild game recipes that would make even the pickiest of eaters go back for seconds. These days you can still find Brad somewhere in the woods or out on the water whenever he gets the chance, or when his wife says its okay.